Lugarde summerhouses use a tried and tested corner post "Prima" system within which the wall "logs" slide into position. It is a cross between a post and beam building and an interlocking cabin, getting the best of both worlds - a sturdy frame and thick walls which can be either 28mm or 45mm thick, ie much better than the more normal 12mm shiplap cladding you might expect to see in a building such as these. All Lugarde buildings are made to order (and can be made to measure using the configurator link at the bottom of this page) which means that although we are an approved Lugarde dealer, we are not a stockist as their range is too large to be able to keep them all in stock and still be able to have a quick turn-around for any stock that may be held (it is not wise to hold timber buildings in stock for too long as the timber can warp/twist etc). 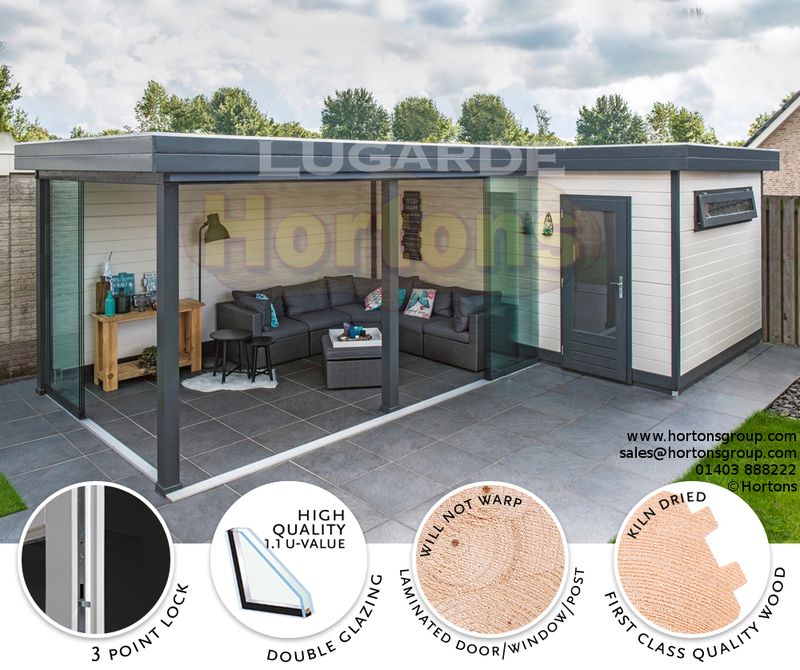 Click this link where you can design a Lugarde summer house to your own design, generate your own personalised quote and view it in 3D!